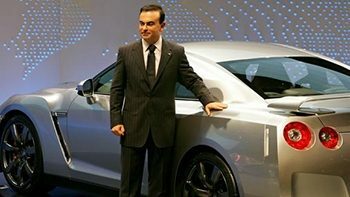 What Drives Carlos Ghosn, Chapter 5: "Nissan Growth"
Nissan Motor was slow to make a full-scale entry into what has become the world's largest auto market: China. We had been there for 30 years and produced Nissan's first Cedric model for the Chinese market. But it was in 2000 that we started to realize the true opportunities. At the time, there were 1.2 billion people in China buying only 2 million cars a year. That's 10 cars per 1,000 inhabitants. In Japan, there were 600 cars being sold per 1,000 inhabitants. At a certain point, the Chinese market was going to boom. Toyota Motor and Honda Motor had already made their moves into China in the 1990s, but because of Nissan's necessary restructuring, our plans had been delayed. But there were plans. In February 2000, just before the Nissan Revival Plan was launched, I met with Toshiyuki Shiga, who was in charge of corporate planning (he would later become chief operating officer) and told him to start preparing plans to expand into China. The market was still in its infancy, but we knew the potential it represented. I had a chance to meet Wu Bangguo, deputy prime minister of China. I went with the intention of posing many questions to Mr. Wu, but he pre-empted me."Mr. 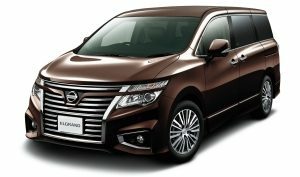 Ghosn, you revived Nissan, and we need some help at a state-owned automaker called Dongfeng. If you were allowed equity participation, would it be possible for you to support the revival of this company?" 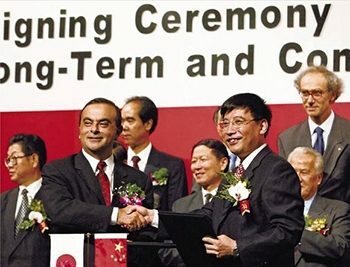 Carlos Ghosn shakes hands with an executive of Dongfeng Motor, Nissan's joint-venture partner in China. I was caught totally off guard. In China at that time, there was a general reluctance to offer any more joint-venture licenses. In fact, in the automotive sector, foreign entities were prohibited from owning more than 50% of capital in a joint venture. But with the support of authorities, we were able to create a deal unlike any other. The scale of the project had suddenly become enormous, valued at more than 100 billion yen ($851 million at current rates). This posed a tremendous opportunity, not only to open the door to the Chinese market, but also to contribute to the entire business of Dongfeng. 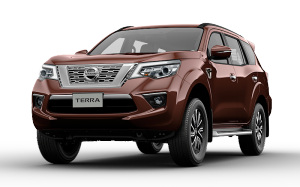 It also provided Nissan with the opportunity to catch and even surpass car companies that had been in China for much longer. So in March 2002, Nissan announced a capital tie-up with Dongfeng, and we began working on this historic new venture immediately. We created a mission team called the Golden Triangle and held meetings every other week to review reports. But as the project grew, we found that a conventional conference style no longer allowed us to hear reports from all of our teams. I began to hold Friday night meetings with Shiga-san and a handful of other team members at an Italian restaurant near my house. I usually don't work too many late evenings, as I reserve those hours for family, but this required extra effort. After we finished our plates, I let the questions fly. Our primary concern was not the financial situation of Dongfeng, but whether we could achieve a real partnership. In the end, things went well with Dongfeng executives. We established a strong relationship with Mr. Miao Wei, who was chairman at the time, and with Mr. Xu Ping, his successor. One of the reasons for this rapport was because the Chinese people had a deep respect for Japanese products. Dongfeng also benefited from Nissan's global management expertise. 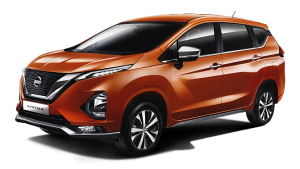 In return, Nissan was able to leverage Dongfeng's local assets, so we weren't starting from scratch. It wasn't risk free, but it was an important part of our strategy. Today, our sales in China are a significant contributor to our global totals. And we see tremendous opportunity for low- and even zero-emission vehicles to be developed in the Chinese market. On a personal note, after visiting China several times, I learned how to write my name in Chinese characters. I was completely fascinated by these characters and practiced them privately in my free time. I have on the bookcase in my office a photo book titled "Shift," which charts our journey from 1999, when I first came to Japan, to 2005, which marked the end of the Nissan 180 plan. Copies of "Shift" were distributed worldwide and handed out to all Nissan Motor employees, and it does its best to capture the six years that, as I wrote in the book, forever changed us, as a company and also as leaders. The final photo is especially meaningful: It captures the moment right after we sold our 1 millionth vehicle, reaching our Nissan 180 goal. The book is an important record of the incredible feat the people of Nissan achieved. But in addition to recording the past, I believed we also needed something to guide us in the future. That something became the "Nissan Way." In 2005, a number of executives, including myself, attended a daylong retreat at a camp in Hakone, some 100km southwest of Tokyo, to discuss various ideas. We wanted to create a global code of conduct that the entire Nissan community could embrace. It was based on the idea that, "The power comes from inside" and is divided into five mindsets and five actions that all Nissan employees are expected to demonstrate to this day. Carlos Ghosn and Nissan Motor employees celebrate addition of 1 million vehicles. That same year -- 2005 -- was a turning point for both Nissan and myself. In May, I was appointed CEO of Renault. Former Chairman Louis Schweitzer had announced that I would be his successor three years before he stepped down as CEO. He had even wanted me to take the helm prior to 2005, but I asked him to wait because I wanted to concentrate on rebuilding Nissan. With this promotion, I became the first CEO to simultaneously lead two Fortune 500 companies. This position allowed me to further deepen the relationship between the two automakers through the Renault-Nissan Alliance. Leading both a French and a Japanese company required a major shift in how and where I spent my time. Until then, I had spent three weeks of each month in Japan and one week on overseas business trips. However, in order to also lead Renault effectively, I needed to reorganize my time: one-third in France, one-third in Japan and the remaining third in the markets where we operate. My family returned to France. At Nissan, I named a chief operating officer to handle management along with me. I appointed Toshiyuki Shiga, who was then a managing director. Because I now wore two hats, I could not manage Nissan the way I did before. Of course, strategy is ultimately decided by the highest decision-making group, the Executive Committee, which I chaired, but a certain degree of role-sharing was necessary. As I take on the role of Mitsubishi Motors chairman today, I have similarly asked our chief competitive officer, Hiroto Saikawa to step into the role of co-chief executive officer of Nissan. That said, I still like to be a hands-on manager. I want to know what's happening in the development, production and sales offices, and I make extra time in my schedule to visit them. Even at the top level of an organization -- and maybe even especially then -- there is always something to be gained by seeing and feeling things for yourself. As I take on additional responsibilities as Mitsubishi chairman, I will continue to find time to do these things. To me, if you think there aren't enough hours in a day, you simply aren't maximizing the ones you have. 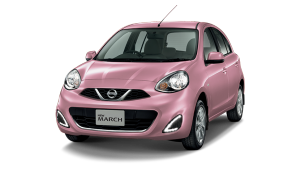 By the year through March 2006, Nissan 180 had ended, and we were in the first year of the next medium-term plan: Nissan Value-Up. For the first time, our recovery was starting to lose momentum. 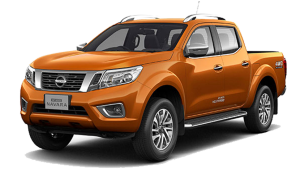 Some attributed this to a bounce-back effect after reaching the Nissan 180 goal of increasing global sales by 1 million vehicles. Other causes seemed to be affecting the industry at large, brought on by emerging technologies, shifting consumer preferences, high oil prices and the entry of new competition from regions like China and India. I wasn't worried. The morale of employees was high, and they continued to work hard toward achieving our next set of goals. This was my first year as the leader of both Nissan Motor and Renault. I would spend the first week of the month at Renault and the third week at Nissan. In between, I would visit other regions as needed, traveling to the U.S., China, Russia, South America and various European countries. Serving as the top executive of two large companies simultaneously was unique and especially challenging, but it had its rewards. I had to be constantly mindful that Renault was one company and Nissan was another. Each had its own decision-making body, board of directors, shareholders and so on. We never made a decision about Renault in Tokyo, and we never made a decision about Nissan in Paris. These two companies had nothing in common except the willingness to cooperate in some areas for the good of both. I carried separate briefcases and had separate schedulers; the job organized itself. The other challenge was making sure to always weigh the interests of Renault and Nissan equally. I allocated my time between the companies 50-50 and made sure it was clearly logged and transparent to all employees. This is what made the Renault-Nissan Alliance different than an acquisition or merger. An "alliance" was a new, third type of business relationship, which fostered a deep sense of belonging. It was important that no one feel as though they were compromising or sacrificing as a result of the alliance. But while I was adamant that the companies remain distinct entities, we also sought for Nissan and Renault to share information and development resources to maximize performance and leverage synergies. Because of the alliance, Nissan was able to enhance an important skill: working in a multicultural environment. 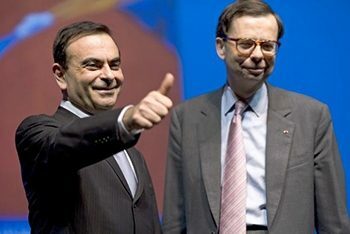 Nissan experienced the full range of global cooperation with Renault, such as sharing in purchasing, technology, production, information technology and integration in human resources. The cross-cultural sharing has been just as important as our business synergies. The alliance between Renault and Nissan works because both the Japanese and French put forth an equal amount of effort to make it work. 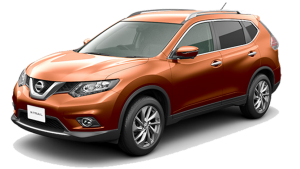 The alliance helped Nissan open its doors to the world while maintaining its identity. It hasn't always been easy, but it's what has positioned us to compete in today's auto industry. In the years to follow, this would become even more critical. At the end of 2007, I announced the revival of a Nissan icon: the high-performance GT-R sports car. The model had been discontinued in 2002, and a successor had not been announced. At the time, Nissan Motor was in the midst of its revival, and it did not have the funds or human resources to devote to a sporty, high-performance car. But, as with our China strategy, we were putting the building blocks in place. Reviving the GT-R, and also the Z, was about more than just the vehicles themselves – it was about reviving our brand. How society, customers and shareholders saw the company was critical to our success. And that included our employees. Morale among Nissan employees was low when I came to Japan. To motivate them, I focused on creating projects that would build excitement and give them reasons to be proud of their company. A flagship car was one of those projects. First, I set out to reform our design department. A month after I became chief operating officer in June 1999, I started a search for a new head designer. My first condition was that the right candidate should come from outside the company. While it was important to me that Nissan employees rebuild Nissan themselves, I felt the role of a new designer required someone with fresh eyes and new approaches. At the time, the technology department had a significant influence over the design of our products, which wasn't an ideal process. Designers did not feel valued, and they weren't encouraged to express bold new ideas. If we were to resurrect these iconic cars – and build them for the future – we needed designers who weren't bound by past policies. This required us to look beyond Nissan's walls. Carlos Ghosn revived the GT-R sports car to inspire Nissan employees and help burnish the brand. 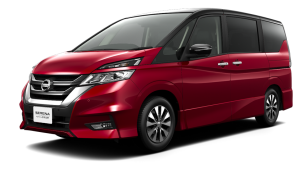 My second condition was that the new design head would be Japanese; it would be important that these flagship cars reflect the beauty and culture of Japan. Third, the right candidate would have proven global success. My search ended with Shiro Nakamura, who to this day is the chief creative officer, overseeing design operations across our three brands, Nissan, Datsun and Infiniti. When I met him, Nakamura-san was a successful designer at Isuzu Motors. I told him that if he took the job, he would be expected to sign off on all final designs. Until then, this had not been the case at Nissan. Because it was not clear who signed off on final designs, no one needed to take responsibility when things went poorly. Nakamura-san accepted my condition. Under Nakamura-san's design leadership, Nissan released a new Z in 2002 and then the GT-R in 2007. The GT-R became one of the highlights of our medium-term plan, called Nissan Value-Up. 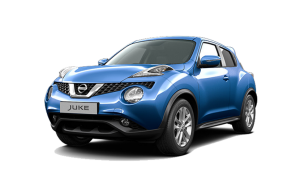 It gave the Nissan brand a much-needed spark and generated sustained profitability. The GT-R assumed a brand leadership role in the U.S., the Middle East and Europe. The GT-R succeeded in integrating Japanese character with global appeal in its design. This is a balance we continue to strike: While the majority of our designers are based in Japan, we seek out those who can ensure that we convey the Japanese roots of our cars in ways that appeal to all of the markets where the cars will be sold. The GT-R's revival was not just about design. We also focused on great engineering and top performance, without high spending. We built it from the ground up to be unique in the high-end sports car segment. It is still my favorite car to drive today.